I love group activities, but since becoming a mother alone time is more precious than unicorn horns. So here are five things that are wonderful alone, all alone, no one watching, just alone... am I drooling? This is a public safety issue. I'm not one of those women who jogs in makeup and designer shoes. I jog in the first thing I drag off the floor, and I sweat like a fountain: I literally drip. So jogging is an alone sport for me, just my ipod, the surf and the pounding of my feet on the wet sand. Heaven! Going to theme parks with the family and friends are fun, but if you want to see everything and go on all the rides in record time---go alone. It makes everything so much faster, and you meet lots of cool people along the way. Before you ask, Universal Studios Orlando, best day ever. I couldnt' wait to get married and be able to sleep next to the same man for the rest of my life. That was until my wedding night when I hardly got any sleep, and not because we partied into the night. My handsome husband turned out to be a shapeshifter, hunky man by day and human buzz saw by night. Five years down the track add a baby by day and sleeping ninja by night. A good night's sleep is more precious than pixie dust, so get some, alone is good. Here's one for the Mums. Yes it's fun going to the sink area with a group of your besties to discuss how hot the guy at the counter was, but when you're in the stall, you wanna be alone. If you're a mother, you know what I'm talking about, we miss the days when we could pull the toilet door closed and sit in silence without the 3000 questions from the toddler about what you're doing, and whether they can see it. If you can't relate to this point, then savour your throne time, do it for those of us who can't. I'm a great multi-tasker, but I do my best writing when I'm alone in a quiet environment. It's the only time when I have a one track mind, so writing is an alone activity. Some days I'm desperate for alone time. It can be blinding but the great thing about writing this, is that it reminded me how much I love doing things with other people. Dancing. Karaoke. Wii. Gym. I love doing things with other people, but alone time is priceless. If you ever find yourself needing to do a promotional giveaway, find some amazing people to do it with. 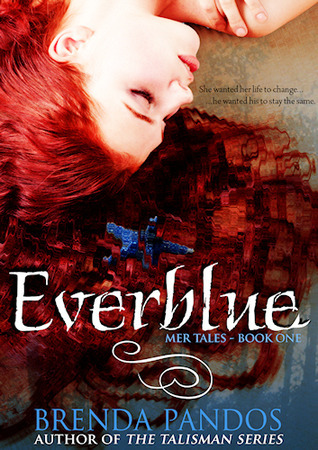 I've been blessed with six talented authors agreeing to be part of Mermaidapaloosa. Some things are just better in a group, feel free to add what you think is best enjoyed with others in the comments box. Remember to enter the giveaway!!! Sizzling sand, pristine sea, steamy nights and hot boys! Hold onto summer with Mermaidapaloosa!!! WHAT DO YOU LIKE TO DO ALONE?